There are various kinds of Yoga. It varies according to the temperament of the practitioner. 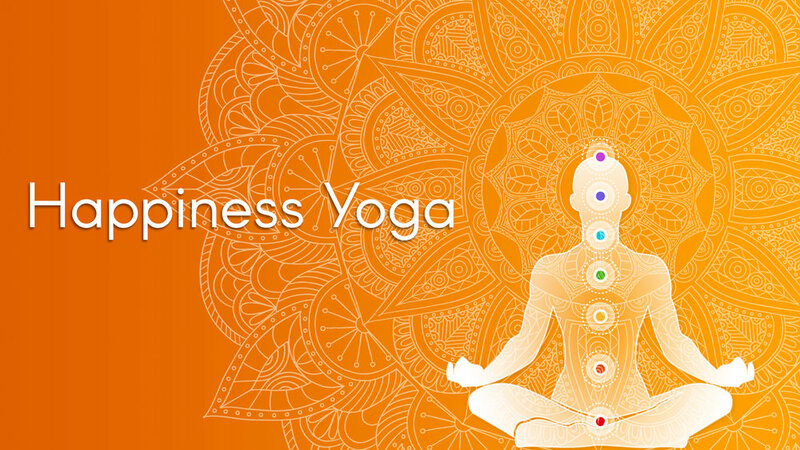 Yoga in a generic sense refers to Karma-Yoga, Bhakti-Yoga, Raja-Yoga and Jnana-Yoga. In a restricted sense, it refers to the Raja-Yoga of Patanjali Maharshi. There is also another kind of Yoga called Hatha-Yoga. Hatha-Yoga is not separate form Raja-Yoga. Hatha-Yoga means the Yoga or union between ‘Ha’ and ‘Tha’. ‘Ha’ means the sun. ‘Tha’ means the moon. Prana is known by the name of sun. Apana is known by the name of moon. Hence Hatha-Yoga is the union of the Prana and the Apana. Hatha-Yoga prepares the student for the taking up of Raja-Yoga. It is only an auxiliary to Raja-Yoga. Raja Yoga is an exact science. It concerns with the mind and the suppression of all its modifications. The mind being the cause for the existence of this phenomenal world, when annihilated, it will eventually lead the Yogic practitioner to the highest goal viz., Asamprajnata Samadhi, wherein he rests in complete peace and union with the Supreme Soul. So it is called Raja Yoga or the Royal Yoga or King of all Yogas. Yogic students are classified under three degrees or classes viz., the first, the second and the third. Yogarudha is one who has climbed the highest summit of the hill of Yoga. He is established in the highest Asamprajnata Samadhi. He belongs to the first class. Sadasiva Brahmendra of Nerur (South India), Jnana Dev of Alandi (near Poona) belong to this class of Yogins. (Yogarudha may have been a Yoga Bhrashta in his previous birth—one who had fallen from Yoga. He had finished all the preliminary practices i.e., Yama, Niyama, Asana, Pranayama and Pratyahara in his previous births. He at once takes to meditation in this birth.) Yunjana is one who is deeply engaged in the practice of Yoga. He belongs to the second class. Arurukshu is one who is attempting to climb the various steps of Yoga. He belongs to the third class. Yoga compares this mundane life to the rotation of a six-spoked wheel. The six spokes are Raga, Dvesha, virtue, vice, pleasure and pain. Man does various virtuous and vicious actions on account of the force of the two currents i.e., likes and dislikes and he reaps the fruits of his actions viz., pleasure and pain. Through memory of pleasure he gets attachment to sensual objects. From attachment he favours some persons and does harm to some others. From likes and dislikes, pleasure and pain crop up in the mind. Thus the wheel of Raga and Dvesha, virtue and vice, pleasure and pain revolves without any likelihood of its coming to a stop by itself. But the Yogi stops this wheel from rotating by destroying the five afflictions through the practice of Asamprajnata Samadhi. The arduous practice of Yoga demands an abundance of energy and nerve-power on the part of the Yogic student. If one conserves the seminal energy only, he can have abundance of energy and nerve-power. Therefore, the practice of Brahmacharya is of paramount importance, if one desires to practise Yoga and achieve the highest end of Yoga quickly. If there is slackness and irregularity in the practices, a fit of passion or wordliness may blow away the little good result which the Yogic student had achieved and then it would be very difficult for him to rise again to the original height to which he had ascended. That is the reason why one has to do arduous practice of Yoga, till he is established in the highest Samadhi. That Yogi who has controlled his mind through the arduous practice of Yoga for several years will be able to cognise the immutable Reality that is behind this empirical existence or the world of names and forms. That is the reason why Patanjali also says: "Practice becomes fixed and steady, when practised for a long time, without any break and with perfect devotion." (Ch. 1-15). Yoga does not consist in sitting cross-legged for six hours or stopping the pulse or beatings of the heart or getting oneself buried underneath the ground for a week or a month. These are physical feats only. Many people think that there is nothing beyond this in the path of Yoga. Real Yoga is something more and something higher. Real Yoga is the attainment of the highest divine knowledge through Nirvikalpa Samadhi or conscious communion with the Lord by controlling the Indriyas and the mind. For the practice of Yoga, a Guru or a teacher is indispensable. But you will have to be careful in the selection of your teacher. In the field of Yoga or spirituality, there are many self-imposed Gurus who do more harm than good. A Yogi or an adept who has already trodden the path will be able to take you safely to the goal. He will point out to you the snares and pitfalls on the way and remove obstacles in the path. If you are not able to get a realised Guru, you can get the help from advanced senior students in the path of Yoga. If you can live with your teacher for some years, till you are perfectly moulded, it is all the more better. But it is necessary for you to live with your Guru or teacher for some time at least, get lessons from him and practise them. Later on you can have Yogic practices at home and can keep correspondence with your Master. Whenever you get holidays you can remain with him. If you are not able to get a teacher, follow the elementary instructions contained in books written by realised Yogis. They will certainly inspire you, remove your doubts and guide you. If the authors are living, keep correspondence with them and see them during your holidays. If you have a curiosity to get psychic powers or strange mystic experiences you cannot have success in Yoga. You must have ardent love for the Eternal. You must have intense aspiration for the Truth. Then alone, you can ascend the rungs of the ladder of Yoga and reach the summit of Nirvikalpa Samadhi. You must have burning dispassion also. Without dispassion you cannot have Self-realisation and without Self-realisation you cannot have freedom, perfection or Eternal Bliss. A right understanding of the nature of the Self, through enquiry of "Who am I?" and study of Upanishads, a strong conviction that this world is illusory and unreal—arrived at through discrimination and consequent birth of dispassion—a strong yearning for liberation or attainment of the goal and regular practice of meditation will undoubtedly produce an attitude of detachment to the world and sublimate not only the desire for augmenting mental and physical powers but also all sorts of mundane desires. Hatha Yoga, Raja Yoga, Karma Yoga, Bhakti Yoga—all these Yogas—prepare the aspirant for the attainment of knowledge of the Self and culminate in Jnana Yoga. Therefore he should have a comprehensive understanding of all the Yogas. He should march on to the goal steadily, practising one particular Yoga which suits his taste and temperament. He can take such points from the other Yogas which will help him to attain progress and reach the goal quickly. In other words, every aspirant can make a happy combination of the above Yogas taking care not to confuse one with the other at any stage of his practices. Ho should use his common-sense at every stage. He must be able to find out for himself whether he is progressing or not by careful introspection and self-analysis.